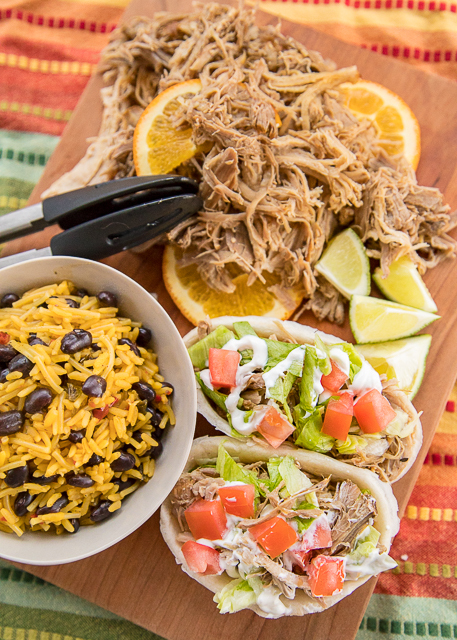 I've had this Slow Cooker Mojo Pork on my list to make for years. I finally got around to making it and OMG! I can't believe I waited so long! This pork was to-die-for delicious. Pork slow cooked in garlic, cumin, oregano, orange and lime juice. YUM! 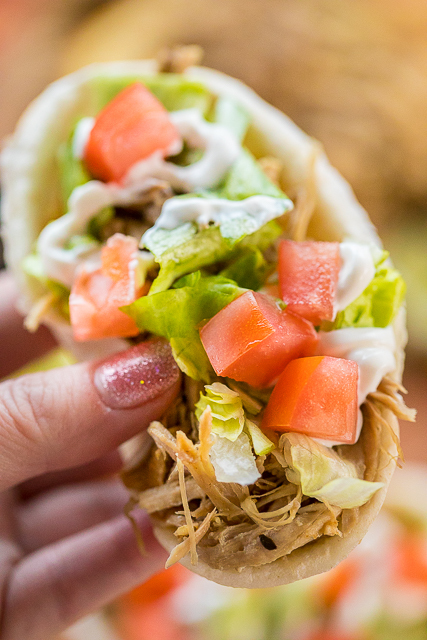 We served with Slow Cooker Mojo Pork in tortillas with some lettuce, tomato, sour cream and salsa. I like to use the mini tortilla boats. 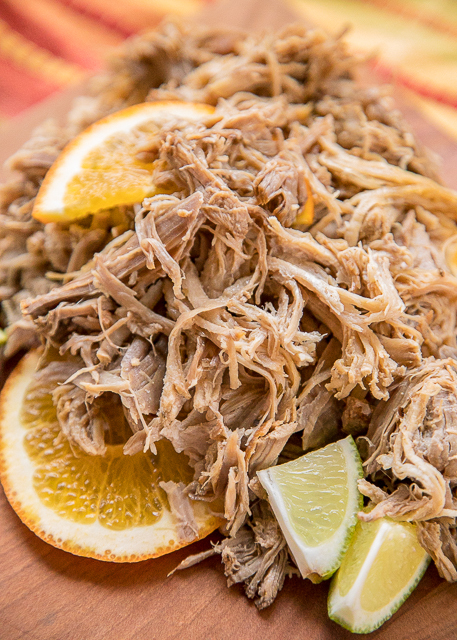 This Mojo Pork is also delicious in a bowl with some rice and beans. Get creative with the toppings! Lettuce, tomatoes, salsa, sour cream, avocado, olives, onions - anything goes! Heat oil in a large skillet over medium-high heat. Add pork and brown on all sides, about 6 to 8 minutes total. Add pork to 6-qt slow cooker. Add remaining ingredients. 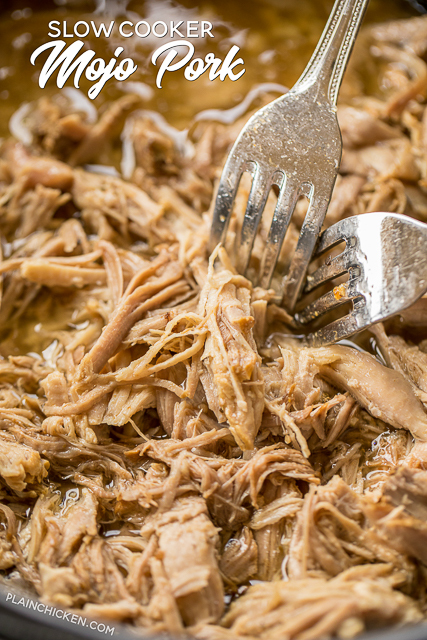 Remove pork from slow cooker and shred. Return shredded meat to slow cooker. Cover and cook for 15 minutes. Serve in tortillas with favorite taco toppings.